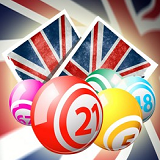 Bingo has become extremely popular among the Brits with bingo halls and clubs popping up around the country. 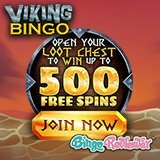 Bingo is played on birthdays, anniversaries or a fun way to kick off the weekend. This game has become a part of the culture. These are things we know but did you ever wonder when and where the love for the game began for the UK? Bingo is said to have been born in Italy during the 1500’s and eventually moved westward into England during the 1600’s. What is the attraction to playing this lottery type game? Well, it is sort of a lottery isn’t it? Each player has a ticket which must match those called in order to win. In fact, bingo was created as a variation of the Italian lottery known as Il Gioco del Lotto d'Italia. The bingo card as we know it was developed much later by a man called Erwin S. Lowe in 1942. 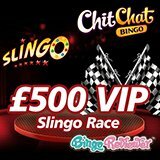 While it’s impossible to trace each and every step back to gain a full understanding as to the exact reasons why bingo is so popular among British gamblers, we can only take a closer look at the game itself. If you’re a fan then you already understand the appeal. Just as any tradition, bingo has been a staple among family gatherings and activities. Perhaps the sentimental association alone has much to do with the traditions among British families. Purpose-built bingo halls and clubs appeared across the country and remained filled with players for decades. Bingo wasn’t an afterthought but rather the drive behind structures being built and new clubs moving in to present Mainstage bingo. Fast forward to today and we’ve seen countless clubs close with no sign of new one opening up. The fall of bingo began around 2005 and believe it or not, it had much to do with the smoking ban in the UK. Gambling and smoking go hand in hand. In fact, smoking and deep thought and concentration, such as bingo requires, also go hand in hand. The UK Gambling Commission has published Gambling industry statistics April 2010 to March 2015. The top bingo clubs in the UK, Gala Coral and Mecca have seen a significant decrease in the number of premises. For example in 2009, Gala had 158 locations, which spiked to 267 in 2011 but as of 2015 dropped down to 135. Mecca saw a much less dramatic decrease in premises going from 102 in 2009 to 91 in 2015. You’ll notice a significantly lower number for Main Stage Bingo as of last year as compared to 2008/2009. The document in its entirety, ‘Gambling industry statistics April 2010 to March 2015’, is available to view here. 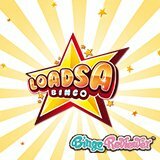 The decline in bingo across the UK may be shown in the numbers for the land based industry but the rise on online bingo has ensured not only that this British staple isn’t lost but that it’s shared with the world.